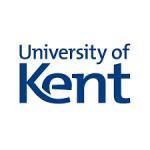 The University of Kent offers a maximum of 20 scholarships to UK, EU and Overseas applicants who meet all the criteria. Scholarship holders would be expected to undertake reasonable duties to support the external profile of the School of Engineering and Digital Arts, for instance assisting with Open Days, outreach with the local community, working with the International Development Team and promoting the School of Engineering and Digital Arts in their home countries. Note: You should apply for the scholarship only after you have received a formal offer to study a programme in the School of Engineering and Digital Arts. See more grantson the For9a website.